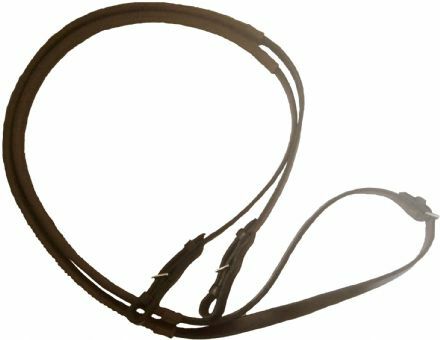 Our rubber figure 8 noseband is a firm favorite with racehorse trainers and those involved with breaking yearlings. The noseband has a handstitched leather headpiece and stainless steel buckles and fillting. The rubber noseband is solid rubber - no glueing - so no chance of breaking!